The area now known as The Dell. formerly the Square Pond. The Square Pond is first depicted on Cradock's Map of 1725 as a rectangular water body with a path or causeway between it and the Ornamental Waters to the east. This suggests that this pond was constructed alongside the Ornamental Water, and may have been the first of the Serpentine Lakes to be completed. The pond is depicted in broadly the same way on later maps, which appear to suggest that it was still being maintained in 1799 and, perhaps as late as 1813. However, it had gone by 1815, when Doyley shows its site as occupied by a plantation labelled as 'New Grove’. The 1815 Map depicts one small channel running across from the eastern side of the pond - this is also depicted on later maps, and survives today. Substantial earthworks marking the boundaries of this pond survive, with the interior being a deep hollow. This may provide clues to the earlier profile of the ground in this area. The surviving earthworks were recorded by the 1990 Debois Survey, and show up well on LiDAR. In the 2013 Strategic Assessment, Compass Archaeology expressed the view that the Square Pond seems to be an unusual shape and size in comparison to the serpentine lakes to the west. They suggested that this pond might have earlier origins, possibly hinted at by the reference on the 1725 map of East Ham (Little Ilford and Wanstead) to a field named 'Pond Close' which occupied the eastern part of The Plain. Field names tended to be conservative, so this would be likely to pre-date the eighteenth century landscaping. An alternative view is that some sort of earlier water body in this area was possible or even likely, based on the field name. 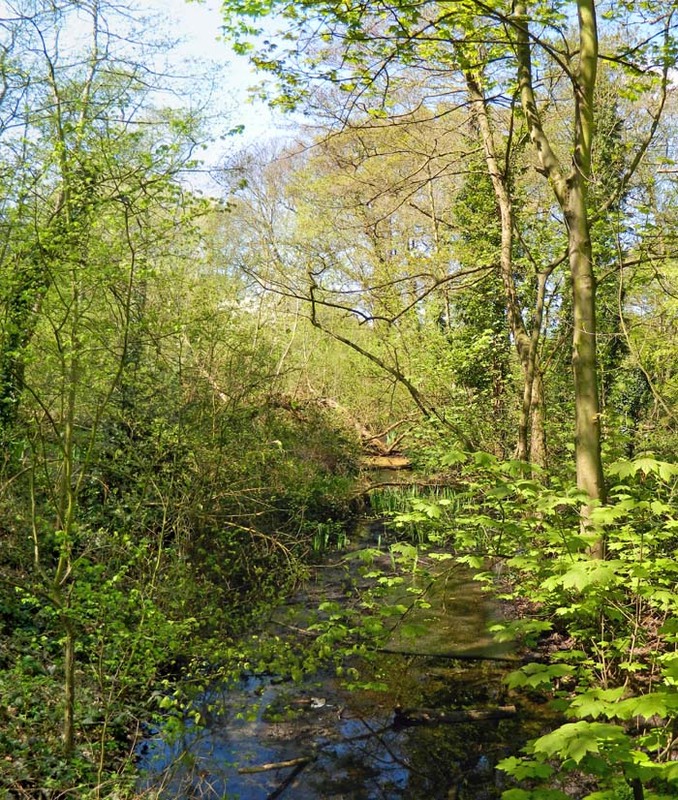 However, the Square Pond as constructed could have been entirely new, and was simply designed to occupy an awkward space at the end of the valley occupied by the Perch Pond, which falls away here toward the flood plain of the River Roding. Its purpose would thus have been to partly mask the dam of its larger neighbour and create a transition to the Ornamental Water.